Credit Counseling Agencies get Bigger; but Better? “The big agencies are going to get bigger and the small agencies are going to go away,” said David Jones, president of the Association of Independent Consumer Credit Counseling Agencies (AICCCA), one of two associations that represent nonprofit credit counseling agencies. Whether the trend is good or bad for consumers depends on who’s talking, but experts seem to agree on one thing: The drive toward larger counseling agencies with high-tech tools is going to keep going. “Clearly the face-to-face option is shrinking,” said Michael Staten, a professor at the University of Arizona who studies credit counseling. “There are still brick-and-mortar offices out there, but not a lot of them.” It pays to choose a credit counselor carefully : Enrolling in a counselor’s payment debt help plan — referred to as a “debt management plan” or DMP — is a big commitment. Plans typically run three to five years, so their monthly fees can add up to $1,800 or more. The counselor helps you draw up a budget, arranges reduced interest rates with your creditors and makes payments from a monthly sum that you turn over. Success means freedom from crushing debt and a cleaned-up credit score; failure means continuing to struggle and possibly bankruptcy. There are other options for help, including debt settlement companies, but nonprofit counseling agencies have become the dominant sources of help for debtors — partly because creditors such as card companies prefer to work with, and even fund, them. According to counseling experts, different counseling methods can work for different people. For example, in-person counseling can provide a closer bond and a higher level of commitment. “We can have identical consumers come to us — same mortgage, same car payments — but the family that really buys into it will have six to eight months more on the program,” said Christopher Viale, president of Cambridge Consumer Credit. Viale, whose agency does both local and long-distance counseling, said that in-person sessions generate more commitment, with greater rates of success. “It takes 30 to 45 minutes longer … (but) it is a better session, you see better results,” he said. Weighing against that is a 2011 study by Staten and other researchers, which found that counseling via phone and Internet worked as well as face-to-face sessions. The study looked at debtors’ financial health after counseling and corrected for differences in income and assets. Then there is the big advantage in convenience for the call center experience. Some of the biggest agencies offer 24-hour help via phone or Internet chat. Most have software tools that help you get control of your budget and compare the costs of different interest rates and payment periods. Gail Cunningham, a former counselor and now vice president of membership and public relations for the National Foundation for Credit Counseling (NFCC), said that people who used to schedule time off from work to see a credit counselor can now get help over the phone during their lunch hour. For the original version including any supplementary images or video, visit Credit Counseling Agencies get Bigger; but Better? FOR IMMEDIATE RELEASE / PRURGENT Buried in debt? Living paycheck to paycheck? 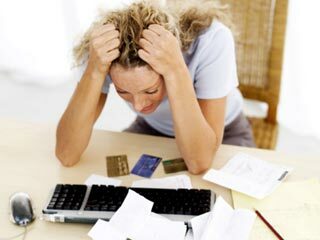 Worried about debt collectors? Can’t seem to develop a workable budget, let alone save money for retirement? If this sounds familiar, considering the services of a credit counselor can be a smart decision. Choosing a Credit Counselor Many reputable consumer credit counseling providers are non-profit and offer services at local offices, online, or on the phone. 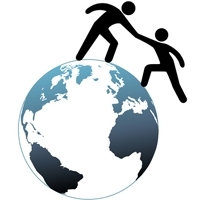 If possible, it is recommended to find an organization that offers in-person counseling. Many universities, military bases, credit unions, housing authorities, and branches of the U.S. Cooperative Extension Service operate non-profit credit counseling programs. A persons financial institution, local consumer protection agency, and friends and family also may be good sources of information and referrals. Questions to Ask Here are some questions to ask to help a person find the best credit counselor: What services do they offer? Many organizations may offer a range of services, including budget counseling, savings 101, and debt settlement or debt negotiation services the process of settling ones debt for a significantly reduced amount. In addition to helping solve ones immediate problem, will they help them develop a plan for avoiding problems in the future? What are their fees? Are there set-up and/or monthly fees? Getting a specific price quote in writing is recommended. Follow these tips to make your vacation affordable without sacrificing fun. More >> Credit cards arent all bad Paying with credit sometimes is a smarter move than using debit. Take a look at how credit cards can benefit you. More >> Paying with credit sometimes is a smarter move than using debit. Take a look at how credit cards can benefit you. More >> Financial advice for newlyweds If you are saying “I do” (or recently did), it’s time to get serious not only about your relationship, but about your future financial outlook as a couple. More >> If you are saying “I do” (or recently did), it’s time to get serious not only about your relationship, but about your future financial outlook as a couple. More >> Here are six ways to make and save a little extra cash each month. More >> Here aresix ways to make and save a little extra cash each month. More >> By Andrew Housser The demand for credit counseling has risen over the last decade. 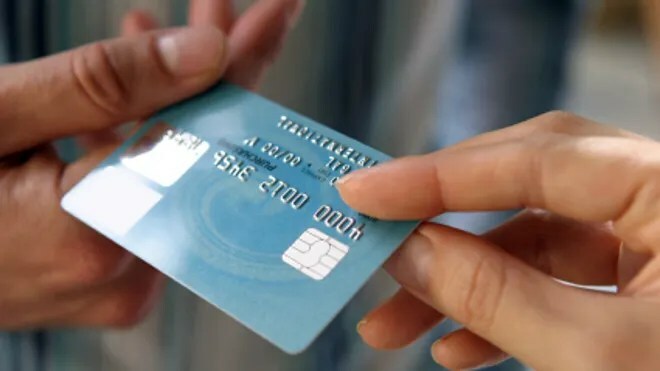 After Congress changed credit card rules with the Credit CARD (Card Accountability Responsibility and Disclosure) Act in 2009, credit card companies started recommending counseling for consumers who are having problems making minimum payments. As well, counseling is now a required step before filing for bankruptcy. As with all things involving money, there are pros and cons to seeking the assistance of a credit counselor. The basics, though, start with understanding the “credit counseling” term. Some credit counseling agencies are non-profit, while some are for-profit. In most cases, credit counseling agencies set consumers up with a debt management plan (DMP) that often reduces the consumer’s monthly payment obligation. The agencies can do this because they maintain pre-arranged agreements with credit card companies that allow them to lower interest rates on existing debt to a creditor-issued “concession rate.” Benefits of Credit Counseling Counselors teach smart money skills. A true credit counseling agency will spend at least an hour reviewing your entire debt situation and overall financial position. This initial interview should be free of charge. A good credit counselor will evaluate your debt load and how much you are paying in interest and fees. Then he or she can offer advice on ways to get out of debt. A reputable credit counseling program will teach clients budgeting and financial management skills. You can get out of debt over time. With a DMP, your money is deposited each month with the credit counseling agency, and the agency then uses those funds to pay your creditors. Because credit counselors are often able to reduce the interest rates on certain of your outstanding balances, your monthly payment may go down. In addition, the simplicity of having a single monthly payment to worry about makes it easier to stay on top of your bills. Collection agencies will stop calling. As long as you are making payments via a credit counseling program, harassing calls from collection agencies should stop.